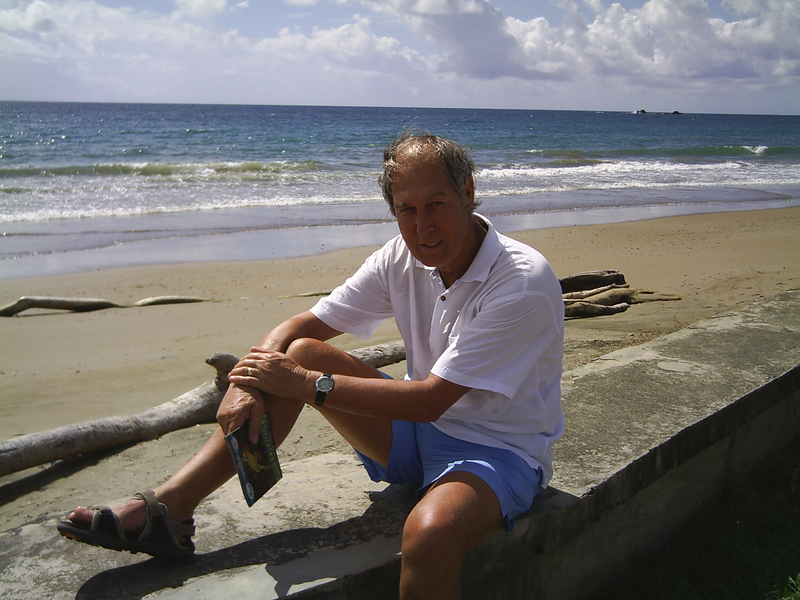 Three pencil sketches in a bottle I found washed ashore in the Caribbean in 2008. That night, after my mom had taken the drawings out of the bottle, we passed them around, speculating. Was this the work of a famous artist we weren’t familiar with? Did we hold priceless treasure in our hands, the flippant gesture of an artist bored at sea? What was this?! I emailed John the very night I got home. We are strangers to each other, or were, but you should know this: I found your pencil sketches—the ones you put in a big plastic bottle and tossed in the sea! Two hour later, he wrote back to me! What an amazing thing to happen. It has been drifting around since November 2006! When I threw it over the side of P & O cruise ship Oceana, (but then you might know that already, I can’t really remember what I put on the notes? It was only a bit of fun and just a very long shot). I had no idea where it would end up; probably swallowed by some passing whale perhaps? So where on earth did you find it? I am so totally overcome by this event. I live in Exeter, in the County of Devon, in the South West of England. I am retired and painting and writing full time. 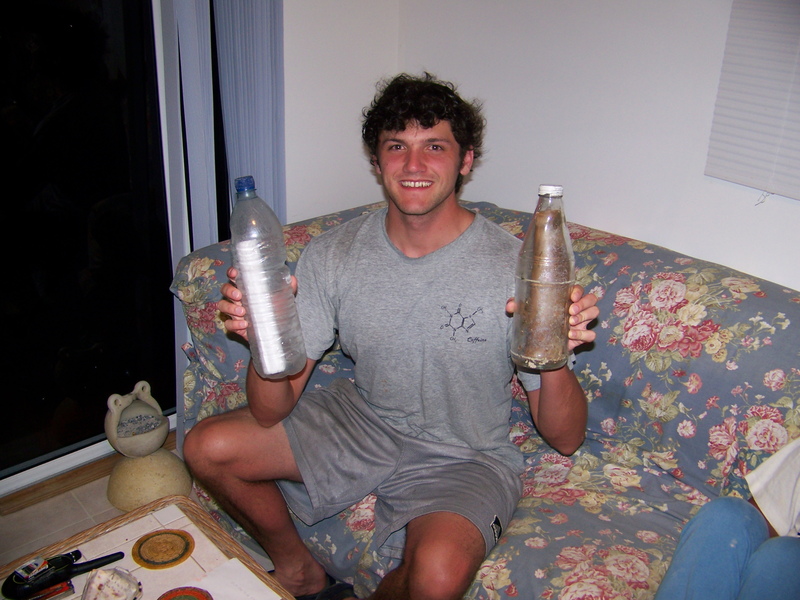 One crazy day in 2008, I found two messages in bottles on an uninhabited Caribbean island. I’ve already told the story of the message on the right, which was from a woman named Janet. I found it jammed under a rock ledge on a section of rocky coast. This is how rocky the coast was. Like my high socks?